We are creatures of sight, always trying to see farther and in greater detail — exploring the distant universe far beyond our vision. Huge instruments in space have become our new eyes on the cosmos, tuned to all the wavelengths of light. Airborne telescopes and observatories on high mountain peaks also watch the universe through Earth’s clearest skies. Radio ears as big as a football stadium capture the lowest frequencies of light. Detectors deep underground see the most elusive particles. 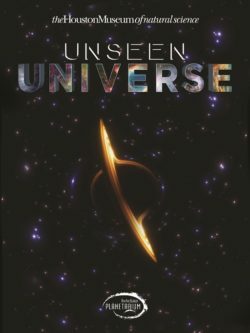 In Unseen Universe, we experience a cosmic drama playing in the heavens above, with scenes and characters we’ve never seen before.